Something a little different for this week’s Bible-related post: some thoughts about Richard Dawkin’s The God Delusion which I bought and devoured last week, and which has provoked mightily mixed feelings in chez Alexandria. Put simply, Richard Dawkin’s envisions himself as a crusader; a preacher; even an ideological martyr. Arguably The God Delusion is his gloss on a ‘Holy Book’ - Darwin is God, of course; The Origin of Species is His ‘Word’. And Dawkins is, ironically, all the things that he says he despises: a fundamentalist whose ideological position constitutes ‘truth’, who allows no compromise and will admit no reasonable opposition. Far too often he makes his points like Ted Haggard, or Pat Robertson, or any other fundamentalist rabble-rouser might – he derides those who disagree with him; questions their morality and values; denies their rights to freedom of speech and action; and shouts longest and loudest about protecting ‘children’ from the ‘enemy’s’ nefarious clutches. Worse than that he repeatedly, and viciously, questions the intelligence of people who don’t agree with him (this despite lauding atheism as the spirit of independent enquiry). And he does it all so well. He does it with panache and humour, with earnestness and hope. I can almost see the evangelist’s fire in his eyes, hear the impassioned edge to his voice. By God, Richard Dawkins is a believer, and I believe in him! For the most part I agree with Dawkins. Traditional monotheism is beyond my comprehension and I’m as puzzled as he is by intelligent, independently minded individuals who choose to deny scientific evidence and persecute their fellow human beings in the name of God. The God Delusion does an excellent job of elucidating the logic behind atheism and of arguing against the need for religious morality. Not surprisingly, it also acts as a superb introductory primer to evolution, natural selection and meme theory. All this is to the great good and worth the time and effort of reading it. Not only is this wrong-headed – not all ‘deities’ work on the same principle as the Judaic God; not all beliefs are incompatible with evolutionary science– but its downright sloppy to brush aside thousands of years of subtle philosophy in so brusque a manner. If you want me to become an atheist Professor Dawkins, you have to try harder than that! Our mistake, then, is our desire to express our wonder in the language of the spiritual; use the semantics and symbols of religion and you may as well be cosying up to the fundamentalists! 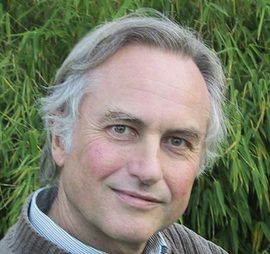 I find this a little hard to swallow: if Dawkins can grasp the distinction, and I can grasp the distinction, and since the distinction is made quite plain by the fact that pantheists and Pagans, and anyone else who uses the word ‘God’ metaphorically, don’t believe in the doctrines of Christianity or Judaism or Islam, I don’t think the confusion is at all deliberate. In fact, I don’t even think 'the confusion' is in the least confusing. The reason Dawkins thinks its stumper is quite clear though: he has a rather low opinion of people’s capacity to understand concepts more generally. His philosophy seems to be that most readers, religious or otherwise, are quite incapable of subtlety, so best not to introduce subtle argument at all. He makes an astonishing number of references to the correlations between IQ and atheism, and spends too much time laughing at the credulous. Is there a worse tactic for a man aspiring to be an educator? Which brings me back to Dawkins being self-satisfied and smug. The real problem with The God Delusion is not specific but general: it is never doing anything but preaching to the converted. It’s hostile tone, designed to make religious people feel stupid, and its over-weaning sense of superiority, designed to make thoughtful readers feel small, combine to make an exclusionist diatribe. Ultimately this is a shame, because Dawkins is a fine writer and an eloquent atheist. He’d make a fine advocate too, if he yielded the pulpit and mixed with the masses. Still... I can't help but like him.